INTERVIEW WITH LILY IONA MACKENZIE, AUTHOR OF FLING! 10 MAY 2017 INTERVIEW WITH LILY IONA MACKENZIE, AUTHOR OF FLING! Lily Iona MacKenzie is a multi-talented author who follows her muse through short stories, novels, nonfiction, and poetry. In her novel Fling!, which I reviewed here last month, she explores the profound influences (good and bad) of family relationships, even after family members die, but she does it with humor and joy. Using magical realism, MacKenzie celebrates life and spiritual ties in many forms. 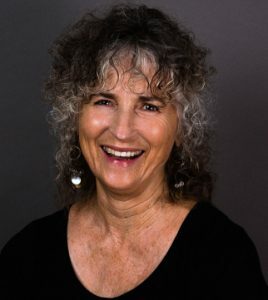 Her own life experiences include working as a long distance telephone operator, a secretary, a longshoreman, manager of a homeless shelter, and writing teacher at the University of San Francisco. Her next novel, Curva Peligrosa, will be released by Regal House Publishing later this year. SM. Why did you decide to use magical realism in Fling!? Did you know as you began to think about the novel that you needed magical realism to tell the story you wanted to tell or did you discover its value as you were writing? LIM. I don’t ever consciously set out to do anything in a novel. I let the narrative lead me. Fling! and its main characters dictated the direction it would take. I had an inkling, of course, from the beginning, that something unusual would likely occur after 90-year-old Bubbles received a letter from the Mexico City Dead Letter Office. Bubbles’ mother’s ashes had turned up there after 70 plus years and couldn’t be sent in the mail for “health reasons.” This letter sends Bubbles and her daughter on their quest to Mexico and all the craziness that happens there. SM. Did you explore magical realism in your short stories before employing it in Fling!? Will it appear in any of your future novels? LIM. Magical realism isn’t something I’ve “practiced” per se. It happens organically as a story unfolds and had appeared before I wrote Fling!. Some of my stories use it. Some don’t. Curva Peligrosa, a novel that will be released in August 2017, is infused throughout with that element. SM. You mention Gabriel García Márquez’s novel One Hundred Years of Solitude in Fling!. Are there other novels with magical realism that you enjoy? Who are some of your favorite authors of fiction? LIM. For me, Márquez is the master of magical realism, as he is, I think, for many writers. I’ve read several of Haruki Murakami’s works, though he employs magical realism differently. In some of his novels, it’s almost as if the reader steps into another world immediately, and there’s less feeling of going back and forth between magic and realism. Of course, Kafka also can be seen as a magical realist, and I loved his fiction long before I was really conscious of magical realism as a genre. Some of Salmon Rushdie’s work has influenced me, as has Roberto Bolano. Bolano is not really viewed as a magical realist. Nevertheless, he sets up his own particular world in his fiction. There are many more, but this is a good start! SM. The characters in Fling! are quite distinctive and richly drawn. How do you create characters? LIM. I wish I knew! They just seem to emerge as I write, creeping out from under my fingertips when I type, begging for life. With Fling!, my mother provided the seeds for Bubbles, and the character took off from there, infused with some of Mum’s zany qualities. For Curva Peligrosa, I had some trouble at first finding her because she wasn’t based on anyone I knew. In early drafts, her name was Lupita, but it wasn’t until I visited Mexico City a few years ago and was traveling from there to Cuernavaca that I saw road signs reading “curva peligrosa.” The words exploded in my head, almost literally, and I instantly knew Curva Peligrosa, the sound of her voice, how she moved: everything! Another major character in that novel, Billie One Eye, half Blackfoot and half Scottish, also appeared out of nowhere. In fact, all of the characters in Curva Peligrosa were a surprise for me. SM. How do you begin a story—with characters, setting, circumstances, or something else? LIM. It’s always different. With Fling!, I wanted to try and answer a personal question about my Scottish grandmother whom I’d never met. As the character Heather in the novel, my grandmother left her abusive husband and ended up in Mexico City in the early 1920s, abandoning her family and eventually dying there. So Fling! gave me the opportunity to create a fictional family and explore some questions I had. With Curve Peligrosa, I read a news article about a tornado that hit a small town near Calgary where I grew up. That image took hold of me and wouldn’t let me go, so the novel starts with the tornado, and I followed where it led me! SM. 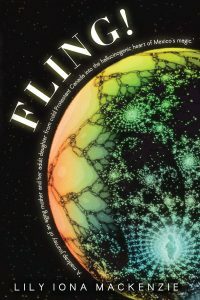 Fling! is a great title. How did you come up with it? LIM. Originally, I called the book “A Highland Fling.” However, as I was reworking the narrative, I realized it was about more than just a highland fling. It’s fling in the many senses of the word. SM. Do you prefer to write novels, short fiction, or poetry, and why? LIM. Poetry is my first love. I had a dream years ago where someone in the dream told me that poetry formed the foundation for all of my writing. I believe that is true. Writing poetry forces a writer to pay scrupulous attention to every word she writes. I try to do that. I just spent two hours reworking the first two paragraphs in a novel that Pen-L Publishing will release in 2019, and I had already spent considerable time on that passage previously. And I think sometimes my short and long fiction has a lyrical quality. I know this is particularly true of Curva Peligrosa, which actually includes a few poems that I’ve titled “Bone Songs.” But each of these modes (you didn’t mention nonfiction which I also love to write) offers its own particular pleasure, and I like moving back and forth between them. SM. Your biography in Fling! says you believe stories prepare the mind to receive new ideas. How do you think that happens? LIM. Well, I’m not a neuroscientist, so this is pure speculation. Stories open our minds and hearts to other possibilities. They lift us out of our ordinary lives and allow us to inhabit realities (or non-realities) we otherwise wouldn’t know about. Just by allowing the images and themes from fiction to enter us, we’ve been changed. And that change then prepares the way for new possibilities to occur. SM. What do you hope readers remember about Fling!? LIM. I love the novel’s humor and even find myself laughing out loud sometimes when I reread certain passages. But humor can allow writers to discuss difficult things, and I believe Fling! is basically a serious novel. It’s investigating how enmeshed we all are in family relationships—how the past lives on in us. It also shows the damage we can do to one another in families. And the spectral of death permeates the whole work but in a light way, I think. We can’t escape it. Of course, the work focuses a lot on mother/daughter interactions and how troubled they can be. I was happy that Feather could eventually see her mother in a more positive light. SM. As a reader, what makes a story or novel memorable for you? LIM. With all art forms, I need to be shaken out of my usual way of seeing/being and opened to other possibilities. Art helps me to see myself and the universe I inhabit in all of its complexity. And it always offers some kind of surprise, something unexpected. The same is true in fiction. The writers I’ve been reading most recently that I find skilled at doing this are W.G. Sebald, Roberto Bolano, Anne Enright, Alice Munro, Per Pettersen, Anthony Marro, Andres Neuman, and Marguerite Duras. SM. What are you working on now? LIM. In addition to the final proofreading/editing I’ve been doing to Curva Peligrosa that Regal House Publishing will launch in August 2017, Pen-L has contracted with me for a three-book series, all featuring Tillie Bloom. The first one, Freefall: A Divine Comedy, will be released in 2018 and captures Tillie as she’s about to turn sixty. In 2019, Pen-L will publish Tillie: A Canadian Girl in Training; it features Tillie at a much younger age. And I haven’t quite worked out the focus for the third one. Thanks so much for these excellent questions!